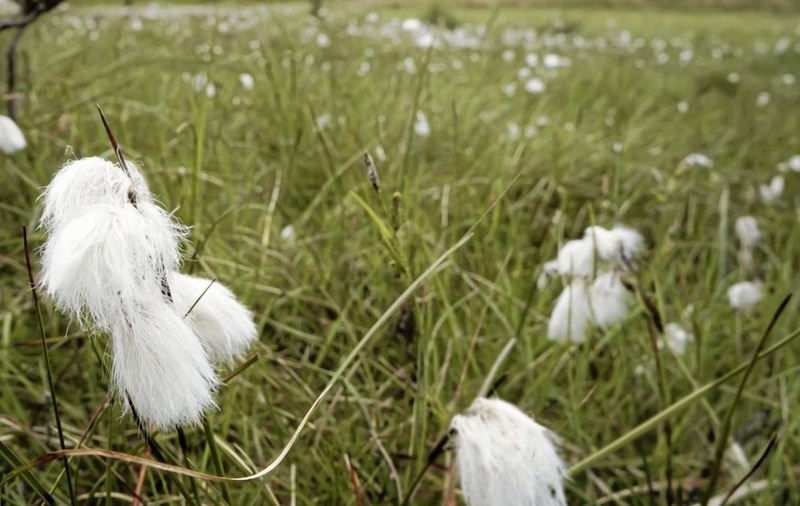 CLUSTERS of bog cotton, white feather-like fronds sprouting from the boggy ground, sway in the mountain breeze. In a damp rocky alcove lurks butterwort – Ireland's equivalent of the Venus flytrap, which captures small insects among its sticky fronds and then digests them. Clambering up the Cooley Mountains from Lug Bhan Fada – reached via a twisting road that rises behind Omeath – is a short sharp climb that within 40 minutes has you in the modest peaks of the range looking over Carlingford Lough and the Mourne Mountains to the north and Dundalk Bay to the south. Up on to the evocatively named The Foxes Rock which stands at just over 400 metres high and nearby The Ravens Rock, which both overlook Omeath and from where you can approach the highest peak in the range at Slieve Foy and descend into Carlingford. The Cooleys, Mournes and Slieve Gullion, in Armagh, all date from the same geological epoch, formed by volcanic eruptions around 60 million years ago. 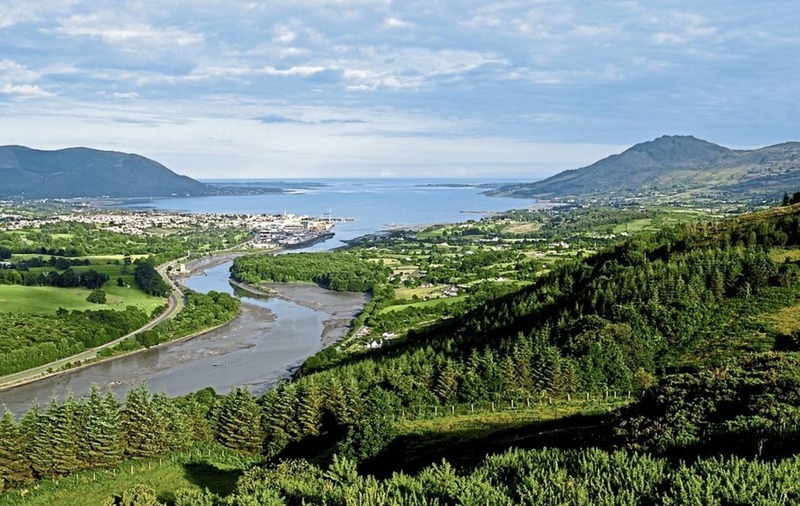 Carlingford Lough is a more recent geological event and was carved out by glaciers during the last ice age, allowing the waters from the Irish Sea to flood into the valley they left behind. It is an area that abounds in legends – most famously of course it is the setting of the ancient Irish epic Táin Bó Cúailnge – The Cattle Raid of Cooley, which retells the story of Cú Chulainn and his battles against the armies of Queen Medb of Connacht. Around 40kms of walking trails have been signposted through the Cooley range to form The Táin Way – true devotees trek it clutching a copy of the superb English translation of the cycle of poems and stories by Thomas Kinsella and illustrated by artist Louis le Brocquy, while listening to Horslips' musical setting of the legend on headphones. The origins of the cattle raid and the saga surrounding it have been lost in history, but as Patrick Kavanagh, a native of Innishkeen in nearby Monaghan, suggests in his poem Epic, the great legends of history often have their source in true events. The Cattle Raid of Cooley could just as easily have been based on a punch-up between two neighbouring families who lived among these mountains arguing over who owned a bull. Another more recent legend recounts the tale of The Long Woman, which tells how a man from Omeath called Lorcan O'Hanlon travelled to Spain where he met a beautiful Spanish woman who was 7ft tall, of royal lineage and who was descended from the O'Donnell earls who had fled Ireland and settled on the Iberian peninsula. Boasting of his great wealth, Lorcan wooed her and persuaded her to travel with him back to Ireland, which she did despite being already engaged to a Spanish nobleman. When they arrived back in the Cooleys she was struck by their beauty, but when Lorcan told her that his lands extended as far as they eye could see – it was foggy day on a mountainside in Co Louth – she was so heartbroken that she dropped dead where she stood in a rocky hollow. She was buried on the spot which is now known as Lug Bhan Fada (Hollow of the Long Woman). Poor Lorcan was heartbroken and scampered up the mountainside to the bog of Aennagh and hurled himself into it. Perhaps the clusters of bog cotton mark the place where he lies.